The Smithsonian’s Hirshhorn Museum and Sculpture Garden announced nearly 160,000 people visited “Yayoi Kusama: Infinity Mirrors,” the first exhibition to feature six of Yayoi Kusama’s dazzling Infinity Mirror Rooms, in its world debut that began Feb. 23 and closed yesterday, May 14. The museum welcomed a record 475,000 visitors to its building and sculpture garden during the same period—its highest recorded spring visitation since the museum’s opening in 1974 and double its average attendance. Nearly 160,000 people experienced “Yayoi Kusama: Infinity Mirrors,” and the museum galleries and sculpture garden welcomed a record 475,000 visitors. The hashtag #InfiniteKusama has reached 91 million Twitter and Instagram accounts, with 330 million impressions (read visitor perspectives on social media). Instagram users posted 34,000 images of the exhibition to their accounts (see the Instagram feed). 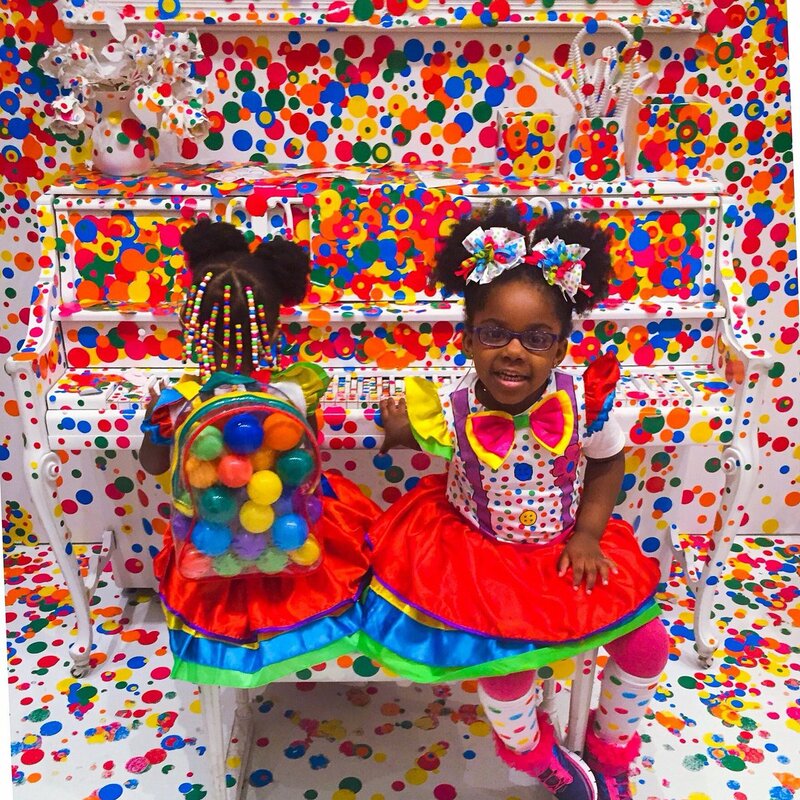 Visitors contributed approximately 750,000 dot stickers to “The Obliteration Room,” gradually obliterating the all-white space in a riot of color (watch the time-lapse video). Trained guides led more than 10,500 members of school and community groups on exhibition tours, including special American Sign Language tours and “touch tours” for the visually impaired (view images). Nearly 100 visitors with mobility constraints were able to use virtual-reality (VR) headsets to experience VR versions of the rooms, part of Hirshhorn’s commitment to radical accessibility. “Infinity Mirrors” opens next at the Seattle Art Museum June 30, followed by The Broad in Los Angeles (Oct. 21–Jan. 1, 2018), the Art Gallery of Ontario in Toronto (March 3, 2018–May 27, 2018), the Cleveland Museum of Art (July 9, 2018–Sept. 30, 2018) and the High Museum of Art in Atlanta (Nov. 18, 2018–Feb. 17, 2019).